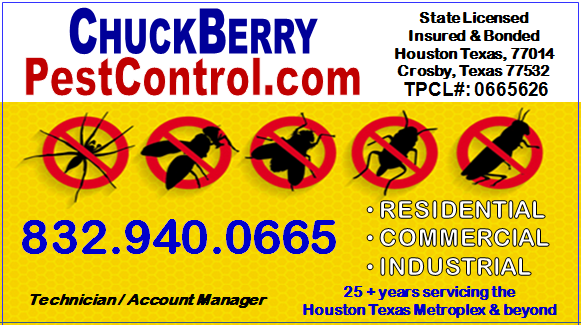 ​PROTECTING THE HEALTH AND PROPERTY OF YOUR ENVIRONMENT. 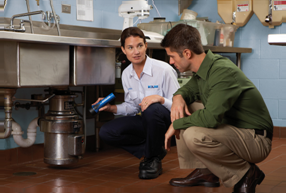 ATTACK THAT WILL ELIMINATE PESTS FROM YOUR ENVIRONMENT. ​25 + YEARS OF EXPERIENCE. WE WILL HELP YOU FIND A COST EFFECTIVE SOLUTION. 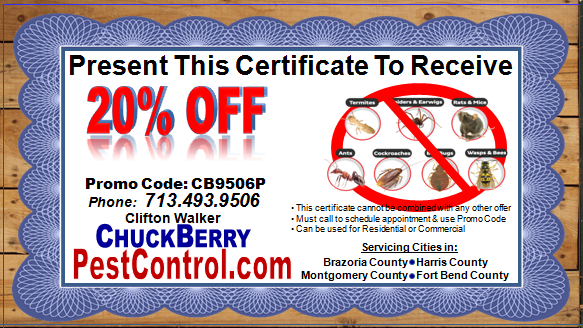 ​Houston pest infestations are common in both residential and commercial dwellings. 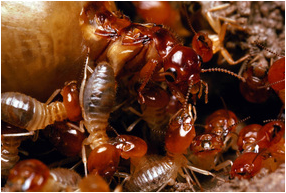 Subterranean termite control involves placing a barrier around your home. 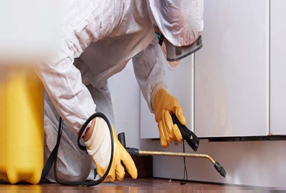 When it comes to gaining access ​to your home, termites are amazingly proficient. 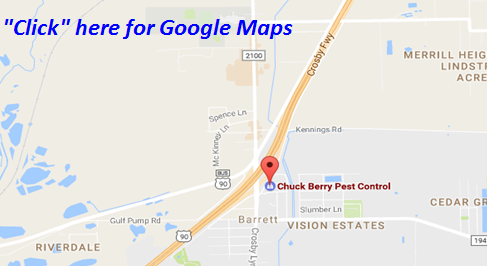 Chuck Berry Pest Control keeps termites from becoming a problem in the first place and helps keep them from coming back.